Most bird owners know that it's important to keep their pets nice and warm, but many don't realize how important it is to pay attention to the humidity levels in a bird's environment. This can be a particularly crucial issue during the winter, as heaters often dry up any humidity inside of the home. Exotic birds, in general, come from rather warm, humid, tropical environments. Their bodies are made to function under the influence of these sorts of weather patterns, and in some respects, the birds depend on them for their very health. Adequate humidity plays several roles in helping to keep your pet healthy and happy. The first and most obvious benefit is that it helps them to maintain their skin and feathers. Environmental moisture stimulates a bird's natural preening instincts and helps keep the plumage healthy, shiny, and clean. Another way that humidity can benefit a bird is by helping to prevent respiratory problems. If a bird's lungs become too dry from lack of humidity in the air, it will become more susceptible to infection, not to mention extreme discomfort. While the consequences of inadequate humidity may seem severe, the problem is fairly easy to avoid. The easiest way to infuse your bird's environment with much-needed moisture is to give him a good misting between 1 to 3 times per day. Not only does this give the air around your pet a quick injection of H2O, but it will also cleanse and replenish the bird's feathers and skin, helping him to look his best. If daily misting isn't a good option for you, then you may want to think about investing in an electric humidifier. These devices are relatively affordable and can be bought at almost any pharmacy or department store. Using an electric humidifier can be an easy and convenient way to maintain a comfortable humidity level within a bird's living space. A third option would be to look into buying a shower perch for your pet and allowing him to join you in the tub each day. Most birds love taking showers with their owners, and many owners will tell you that the extra time for socialization and interaction has benefits that far outweigh those of the increased humidity. Whatever way you choose to do it, exposing your pet to some form of humidity should become a part of your everyday routine. 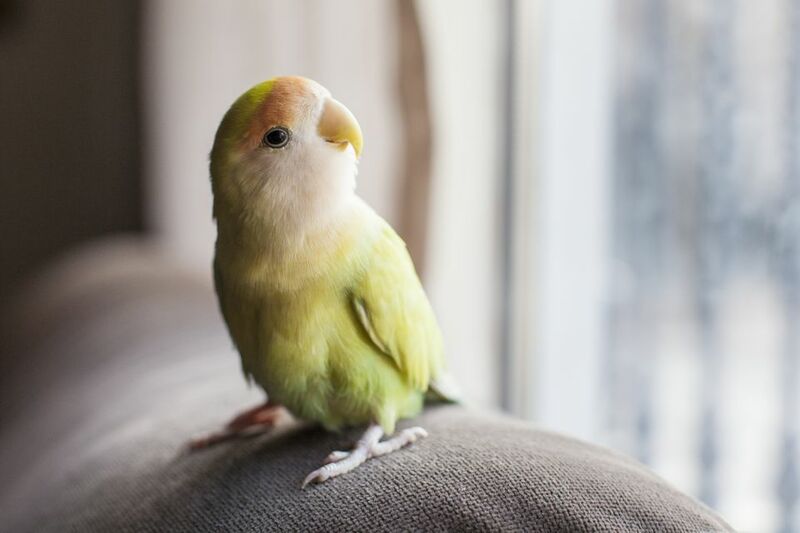 You will quickly notice an improvement in the way your bird looks and feels, and many owners insist that it can even help overcome certain ​behavior problems. After all, a healthy, comfortable bird is a happy bird—and what the owner could ask for anything more? Are Essential Oils Safe for Birds?